In most cases the 6C potency should be used for self-help. It is most appropriate for conditions which are mainly physical, for example first aid situations or coughs and colds. 6C remedies are ideal for the family medicine chest. The 30C potency can be used for conditions which affect our health more generally or illnesses which may be partly emotional in nature such as occasional sleeplessness. 30C remedies should be taken as a short 7 day course, unless prescribed by a practitioner. If a condition is at all persistent or could be serious, please consult your doctor or a qualified homeopathic practitioner. As with all medicines, always read the label. 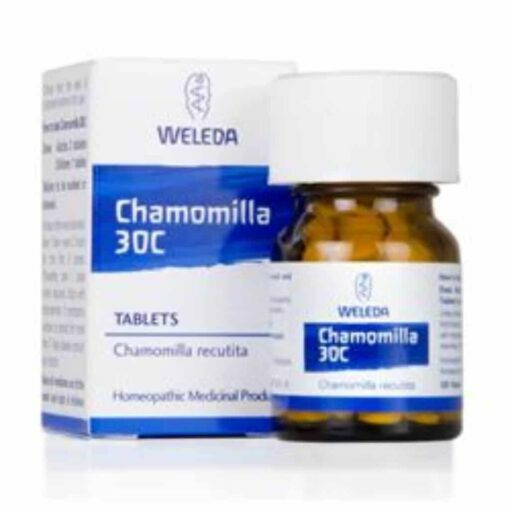 Chamomilla 30C Teething; irritability and restlessness; colic; green slimy diarrhoea; total intolerance of pain.